In anticipation... originally uploaded by Tsu Lin. 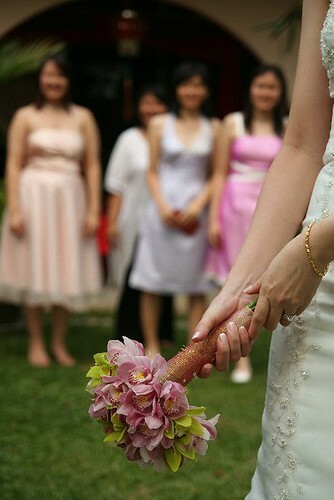 Meng & I got married on a sunny and very memorable wedding service on 30 Sep in Melbourne. Subsequently, the KL wedding was held the next week on 7 Oct. Here, the picture shows the single gals waiting in anticipation during the flower throwing moment ... held at the garden of my house!